This practical converter is designed to directly connect any IDE (Ultra ATA) and SATA devices to a computer. Practically it uses a standard USB 2.0 connector. Are you tired of shutting down your computer all the time, removing your sidewall, looking for loose cables, and then plugging in a hard drive from which you only need a few files? The PremiumCord is ideal for you. It can make older 3.5 "and 2.5" IDE hard drives available. Of course, he can still use the most used SATA drives today. Only the classic USB cable is connected to the computer so you can connect the drive whenever it comes to you. 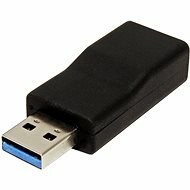 This practical converter is designed to directly connect any IDE (Ultra ATA) and SATA devices to a computer via a standard USB 2.0 connector. Are you tired of disassembling your computer all the time in order to plug in a hard drive, from which you only need a few files? The PremiumCord is the perfect solution for you. It can make older 3.5" and 2.5" IDE hard drives instantly available. Of course, the device is also compatible with modern SATA drives. You can connect the adapter to your computer with a classic USB cable, so you can connect the drive whenever you want. USB-A 2.0 M, SATA Done! 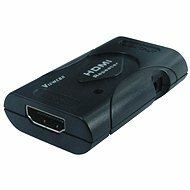 For shipping to other EU countries visit this page PremiumCord - USB 2.0 to IDE 40/44, SATA. 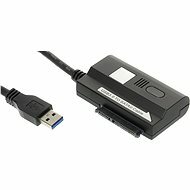 Für Versand nach Deutschland, besuchen Sie bitte PremiumCord - USB 2.0 Konverter IDE 40/44 oder SATA 2,5" und 3,5" HDD, Netzteil. Chcete doručit zboží do Česka? 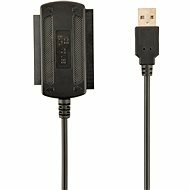 Prohlédněte si PremiumCord - konvertor USB 2.0 --> IDE 40/44 pinů a SATA, pro 2.5" i 3.5" HDD, AC adaptér. Chcete doručiť tovar na Slovensko? 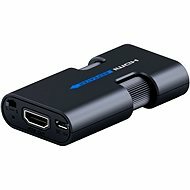 Prezrite si PremiumCord – konvertor USB 2.0 – IDE 40/44 pinov a SATA, pre 2.5" i 3.5" HDD, AC adaptér. 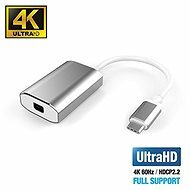 Für Versand nach Österreich, besuchen Sie bitte PremiumCord - USB 2.0 Konverter IDE 40/44 oder SATA 2,5" und 3,5" HDD, Netzteil. Magyarországra történő kiszállításért tekintse meg ezt a termékoldalt: PremiumCord - USB 2.0 -> IDE 40/44 Pin és SATA 2,5" és 3,5" HDD-hez, AC adapter.